Settlement began in the 1870s. 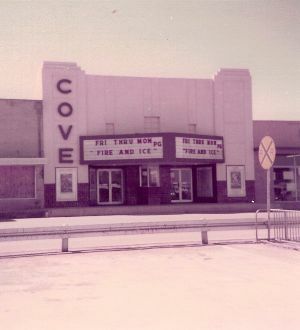 The name Cove was submitted for a post office, but refused due to a prior claim. The application was resubmitted with the additional word of Copperas added. The name supposedly comes from the copper-tasting water of a nearby spring. The Copperas Cove post office opened in 1879. Copperas Cove was along one of the "feeder routes" of the famous Chisolm Trail. The Gulf, Colorado, and Santa Fe Railway arrived nearby in 1882 and the townspeople moved the two miles NE in order to enjoy all the economic advantages the railroad provided. By 1884 the town had 150 people and a hotel. By the mid-1890s the population had risen to 300, and a school district was formed. Cattle production was replaced by farming as the area's major economic engine in 1900. In 1913 the population was estimated at 600, reaching 650 when the Great Depression hit. The town's bank failed, and Copperas Cove suffered the fate of many Texas towns in the 30s. Only 356 people called it home in the early 1940s. WWII was a life saver for the town when the government established Camp Hood. The postwar population grew to 1,052 in the early 50s. 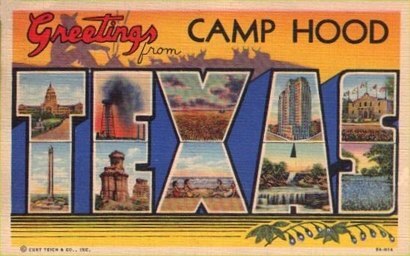 Camp Hood became Fort Hood in 1950 and the post became a permanent facility. Growth was such that the town soon grew into neighboring Lampasas County. The population reached 4,567 in 1960, and more than doubled to 10,818 by 1970. It nearly doubled again to 19,469 in 1980.